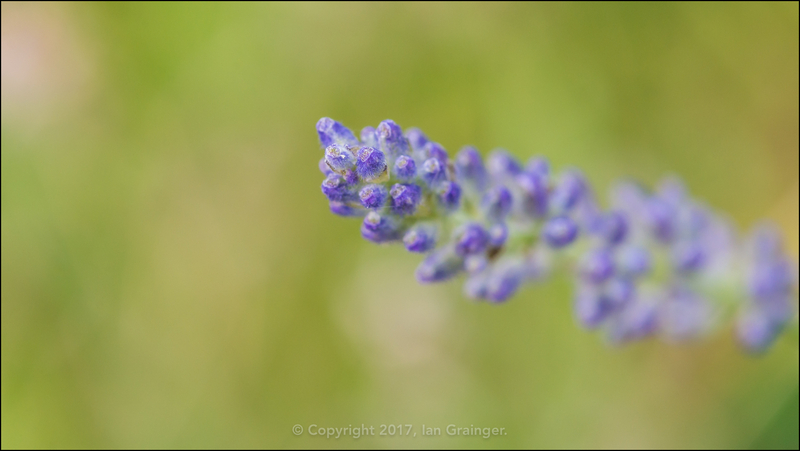 Finally, after three weeks of rain, cold and illness effected photo shoots, it was business as usual at the weekend in dad's garden. 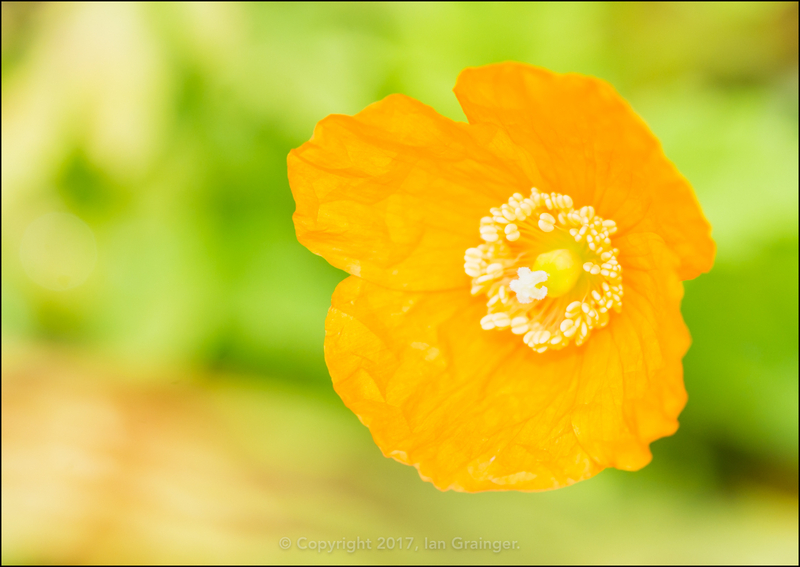 It was getting late in the year for new flowers, but one of my all time favourites was just coming into bloom. 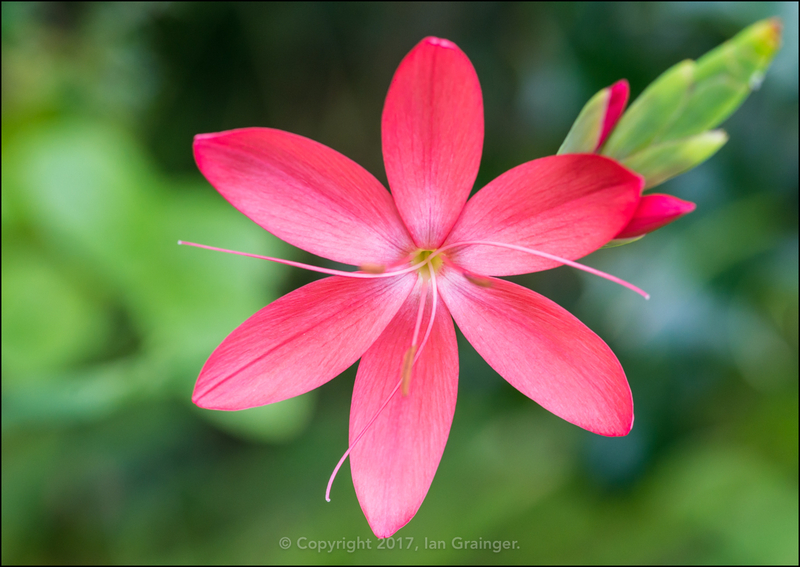 The River Lilies (Hesperantha coccinea, formerly classified as Schizostylis coccinea) were beginning their remarkable display. 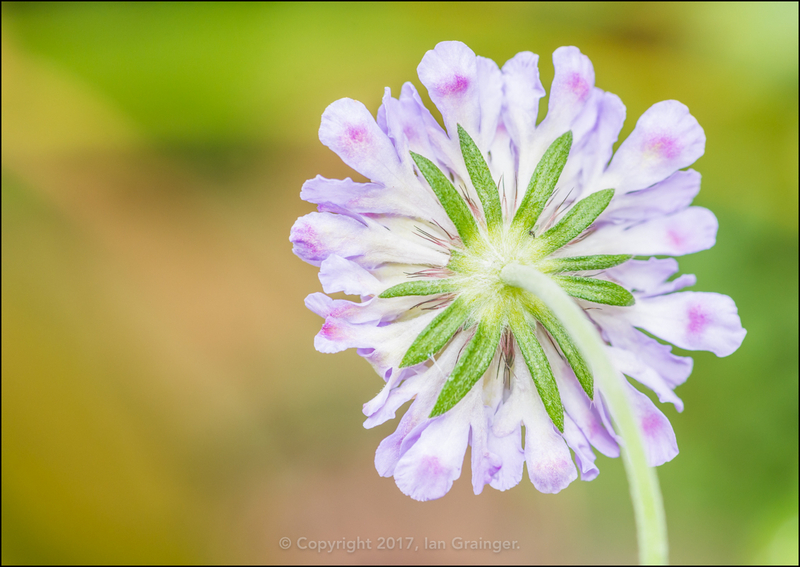 They're one of the final flowers to show up in the garden, and keep on going until the first frosts. 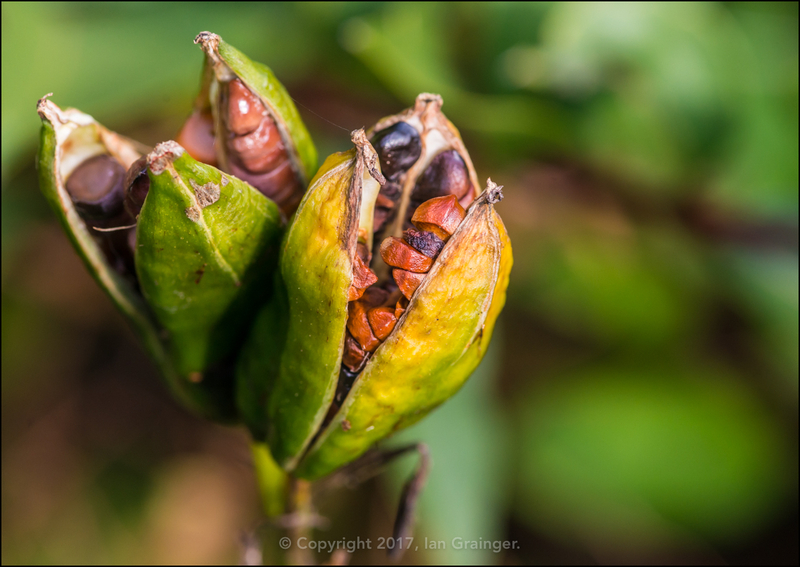 I've written about them before, and you can find out more information about them in this article. I wasn't the only one feeling In the Pink, as there were a plethora of pink petals on display. 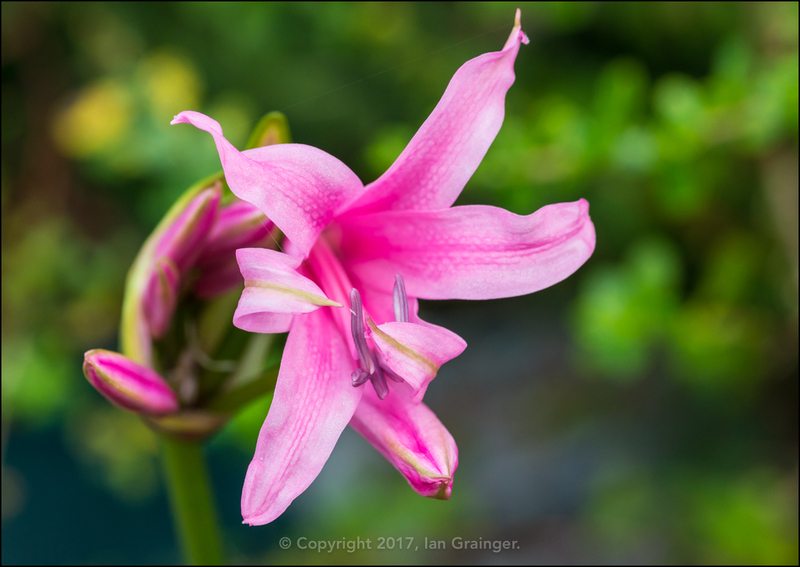 The Guernsey Lilies (Nerine bowdenii) continued to look beautiful in a sheltered corner of the garden, and had plenty of new flower buds left to open. 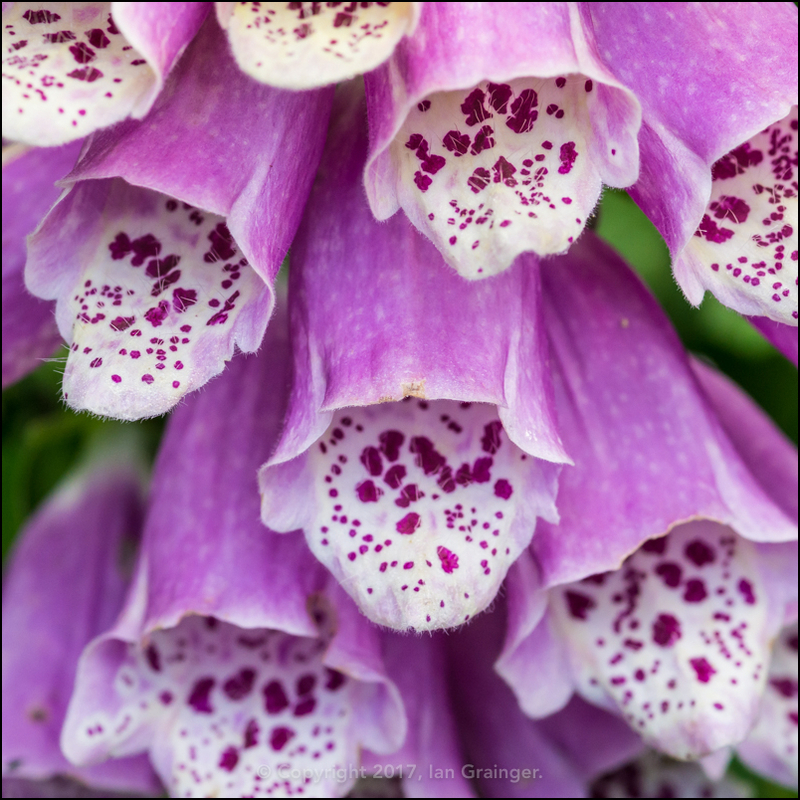 The Foxgloves (Digitalis) were also putting on a magnificent display, long after they should have disappeared for the year. 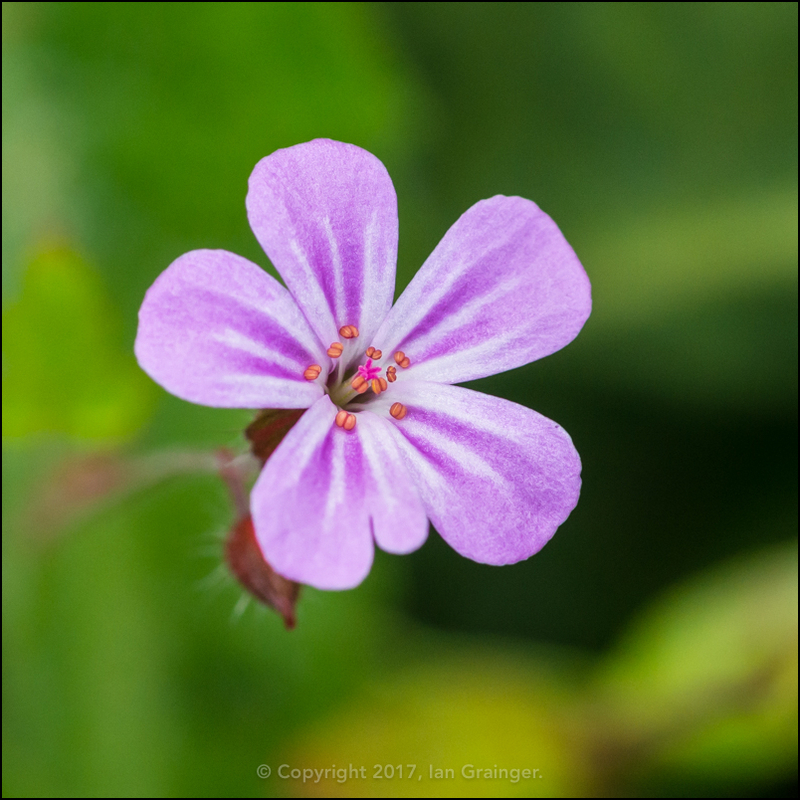 The tiny blooms of the Herb Robert (Geranium robertianum) continued to delight as it weaved its way between cracks and joints in the patio stones. 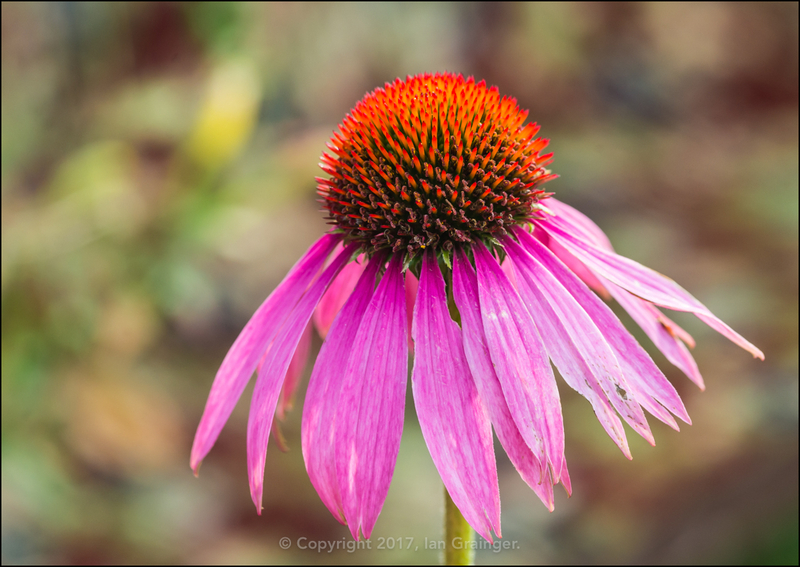 The Coneflowers (Echinacea) also showed no signs of surrendering to the onset of Autumn. 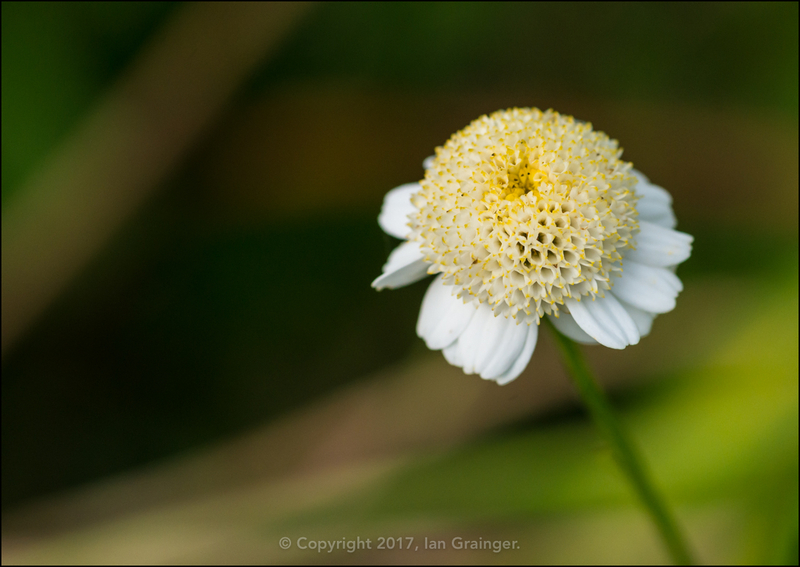 ...while the little spotlights of Feverfew (Tanacetum parthenium) brightened up an otherwise dark looking border. 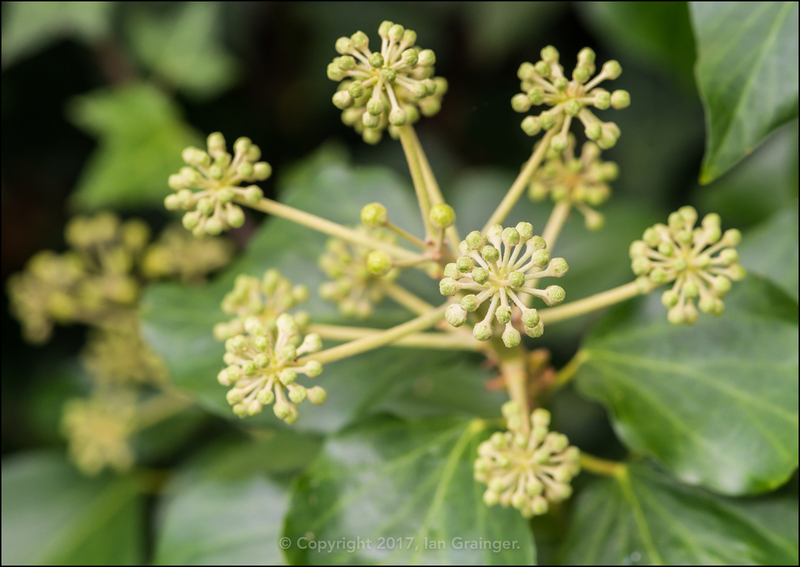 The Flowering Ivy (Hedera helix) would soon be bursting into bloom, with tiny flowers exploding from the array of flower buds seen here. 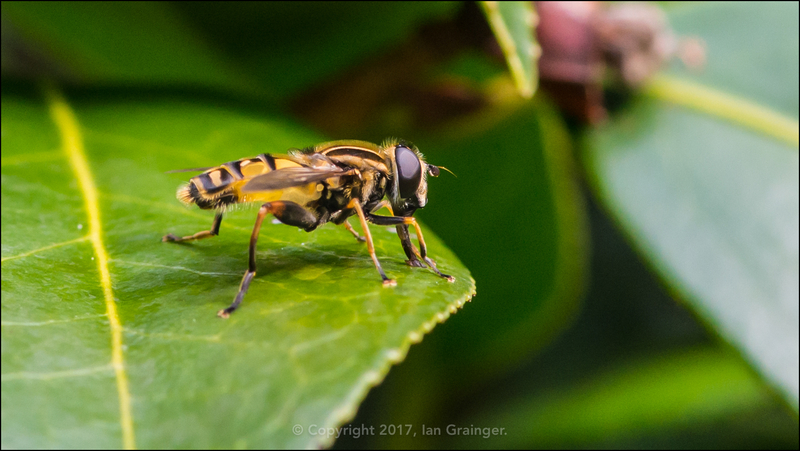 The insects wouldn't be around for much longer, so I indulged my love of photographing them for one of the final times this year. 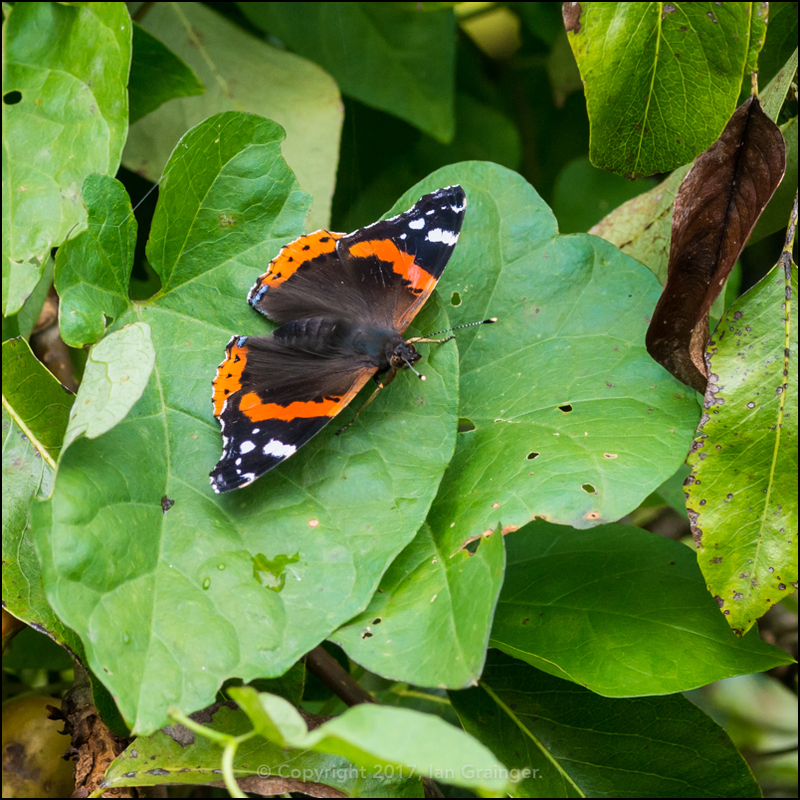 This Red Admiral Butterfly (Vanessa atalanta) didn't hang around for long, and didn't let me get too close, flying off as I got within a few feet of it. So, it was good that I started snapping shots of it well before I got anywhere near it, which is a good habit to get into when photographing butterflies. 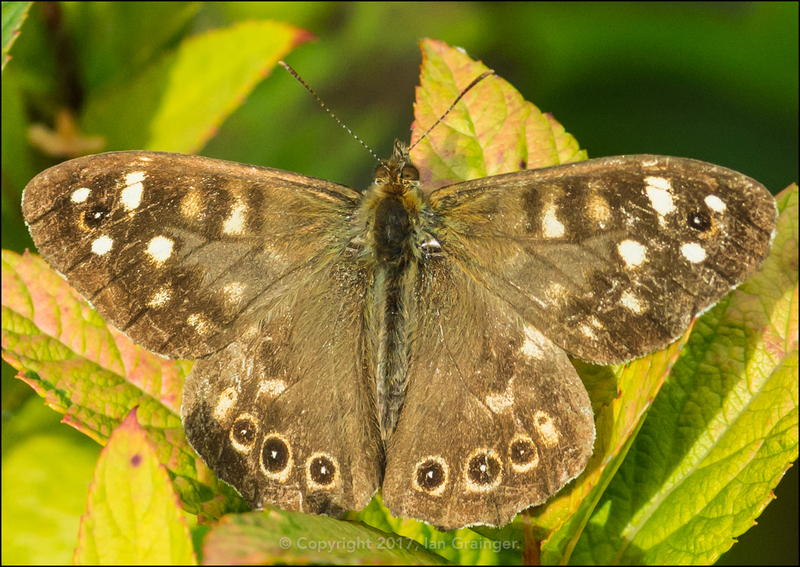 I didn't have any problems with this Speckled Wood Butterfly (Pararge aegeria), and I got very close to it without it disappearing. I still took plenty of shots from distance though, just in case I should disturb it as I approached. 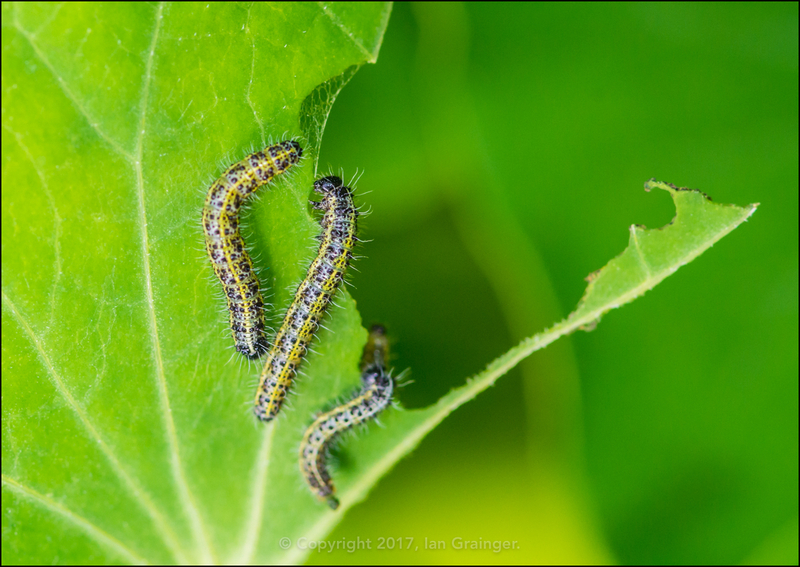 These Large White Butterfly (Pieris brassicae) caterpillars would ensure the next generation would be around to photograph next year. 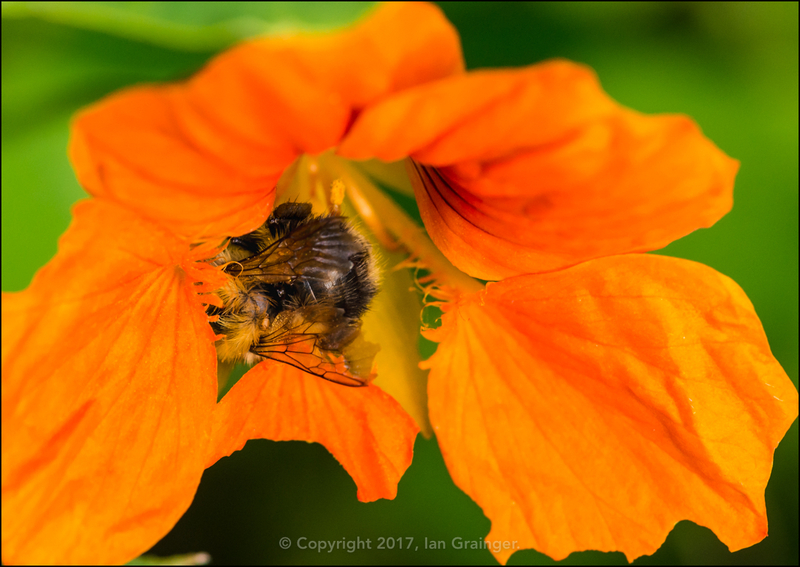 They certainly couldn't be hungry, as they'd polished off almost all of the leaves off this patch of Nasturtium (Tropaeolum) plants. ...but there were plenty of these Greenbottle Flies (Lucilia caesar) sunning themselves on nearly every available plant surface. Don't you just love the green metallic sheen they have? 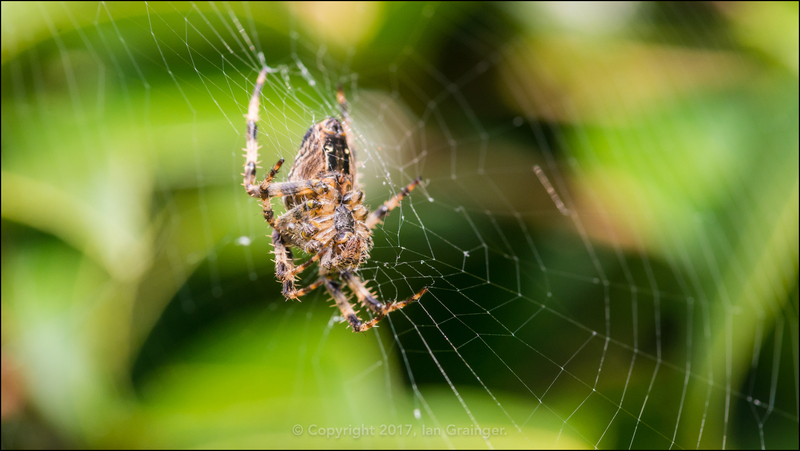 There were definitely plenty of Garden Spiders (Araneus diadematus) to photograph. I was constantly running headlong into their webs all morning. 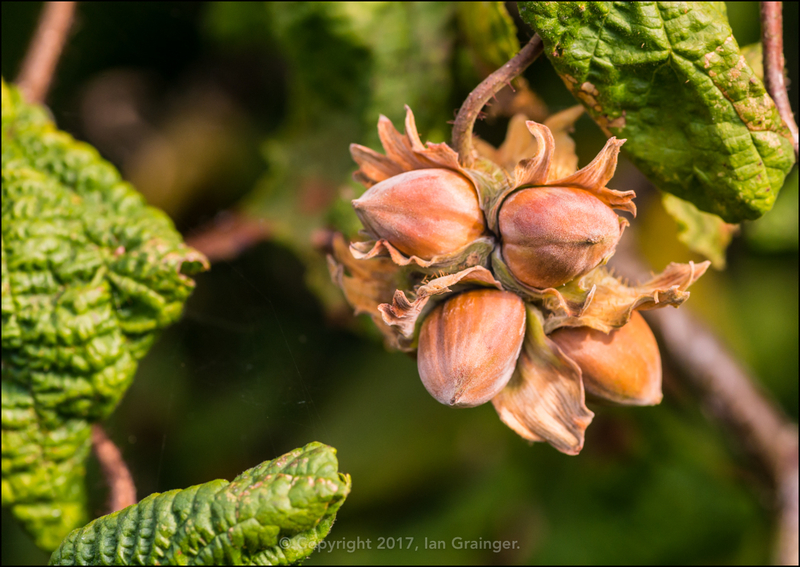 Signs of Autumn were accelerating though, with some of the Hazelnuts on the Twisted Hazel Tree (Corylus avellana Contorta) already starting to ripen. ...as had those of the Crocosmia 'Lucifer' plants. 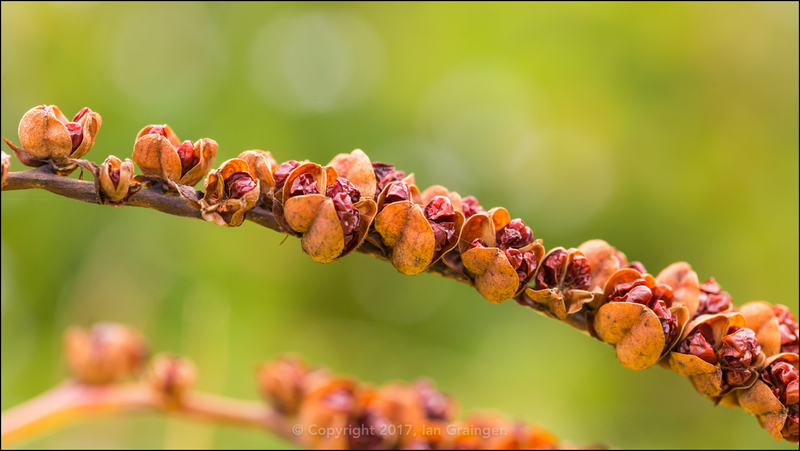 It has been a while since I've shared any images of plants in my own garden, so I thought I'd do a quick update. 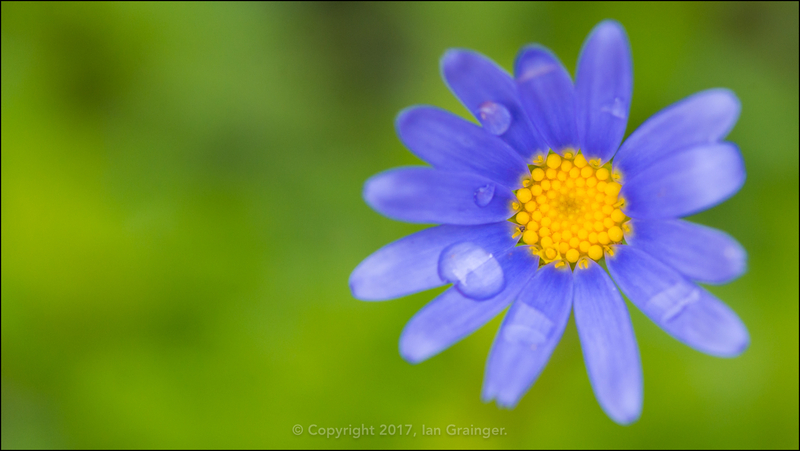 This is the first year I've grown these pretty blue daisy like blooms, which are called Felicia. 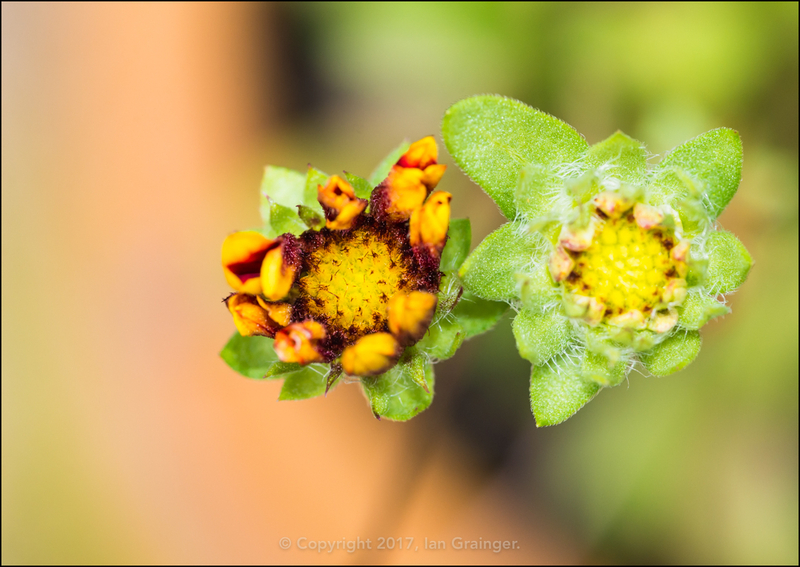 I've been a little disappointed with them so far, as they've been far from prolific flowerers. 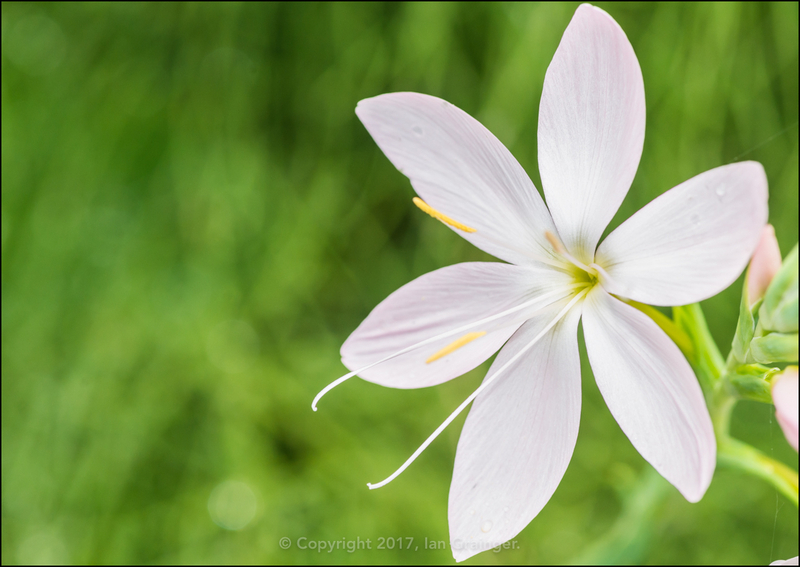 This white River Lily (Hesperantha coccinea) has been in my garden for three years now, and this is the first year it has flowered. I'm so pleased with it as with all of the rain we've had, I thought the rhizome must have rotted away! 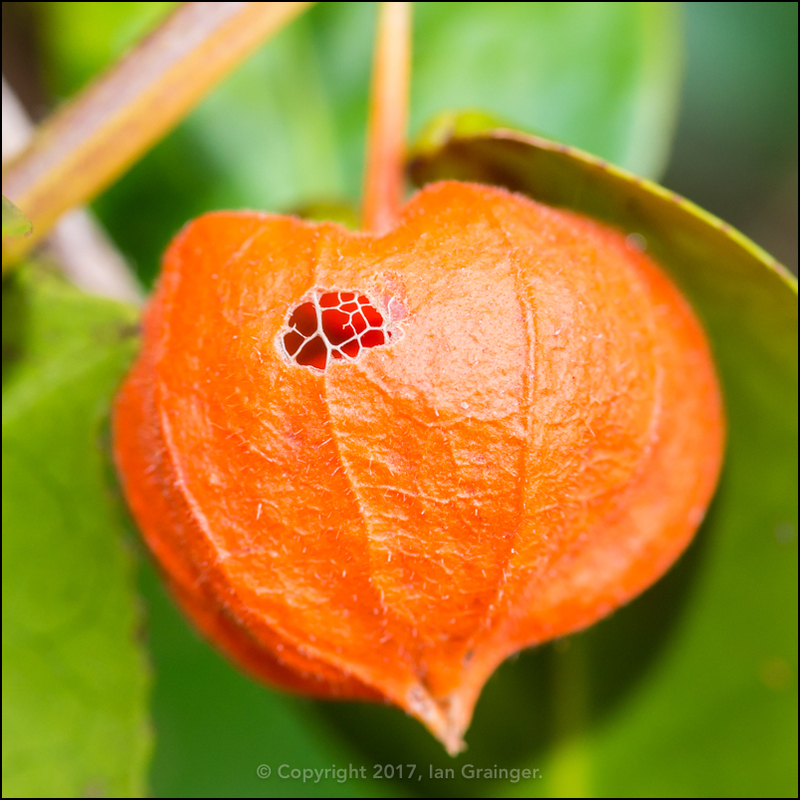 My Chinese Lantern (Physalis alkekengi franchetii) plants have finally produced their trademark orange lanterns. I can't wait for them to break down into a lacework type of structure. They'll be so interesting to photograph. 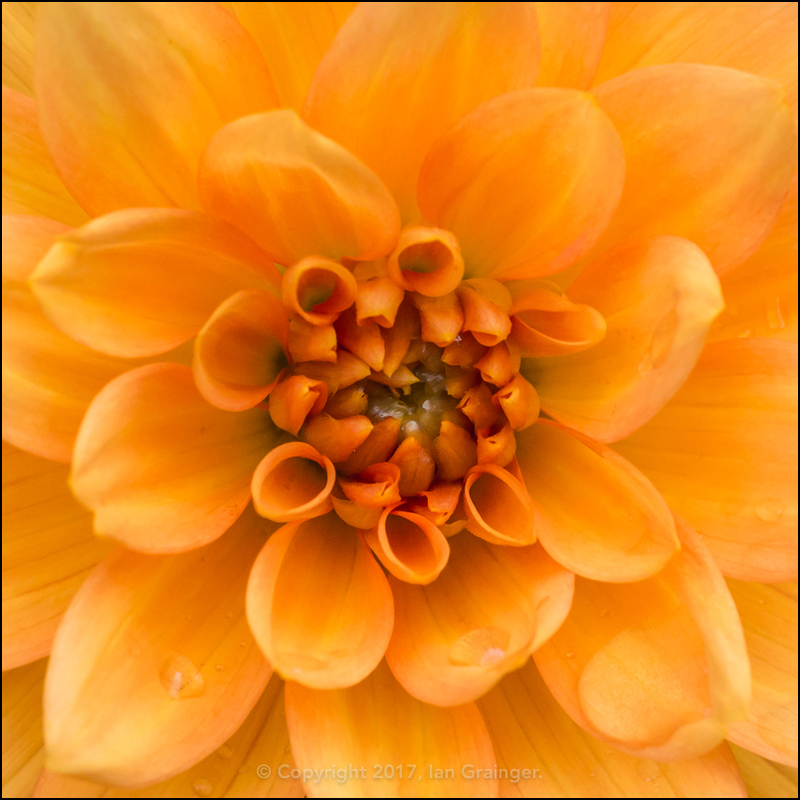 I've had terrible luck with my Dahlias this year. 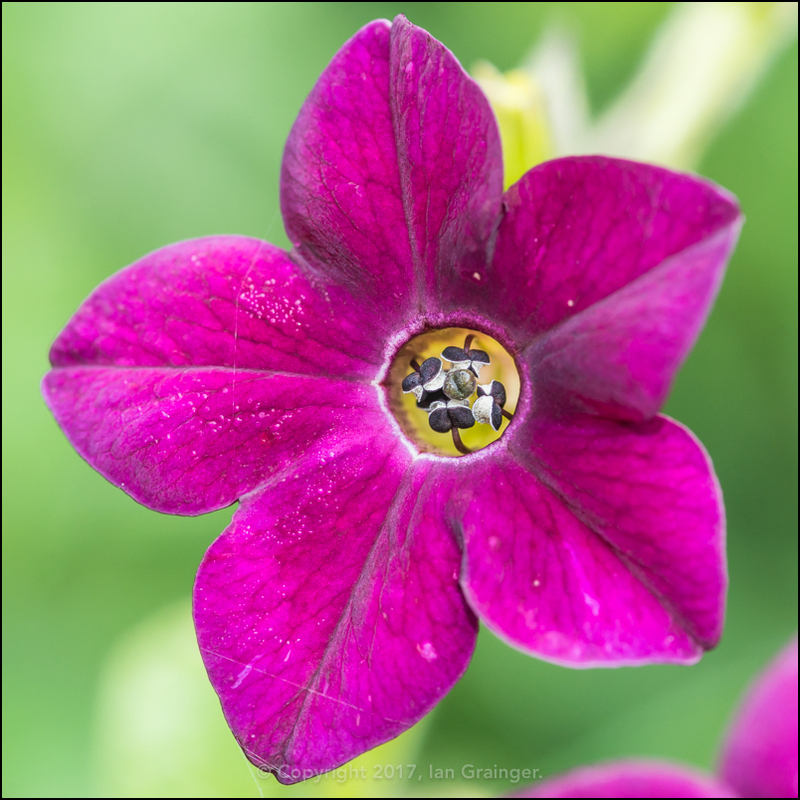 This variety 'Noordwijks Glorie' is the only one to have produced more than a couple of blooms. 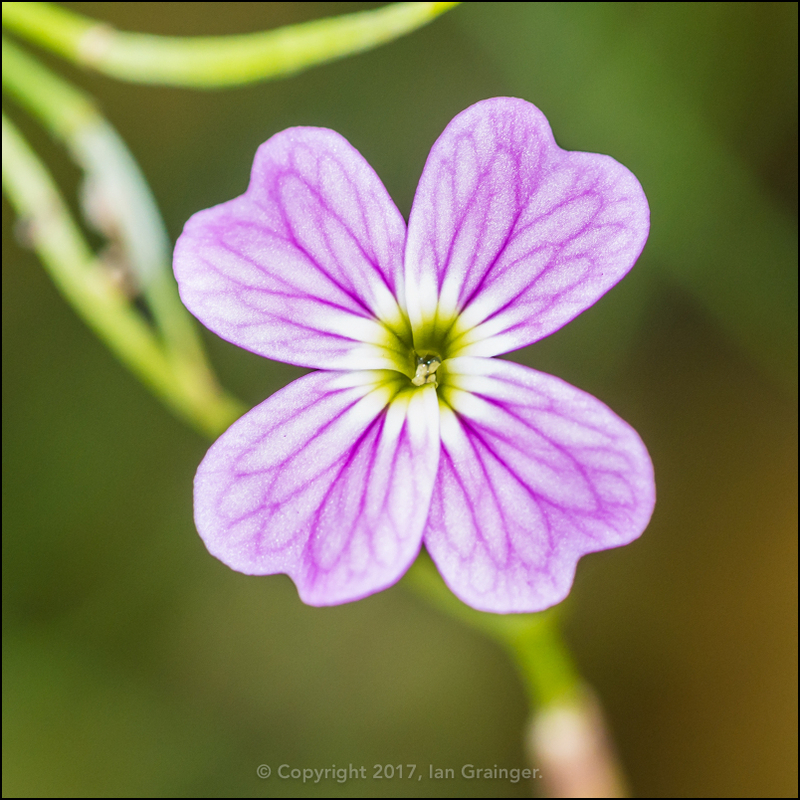 ...and the final few flowers of the Virginia Stock (Malcolmia maritima) are looking every much as beautiful as the first few. Finally, I'm turning my attention to my aquatic animals. 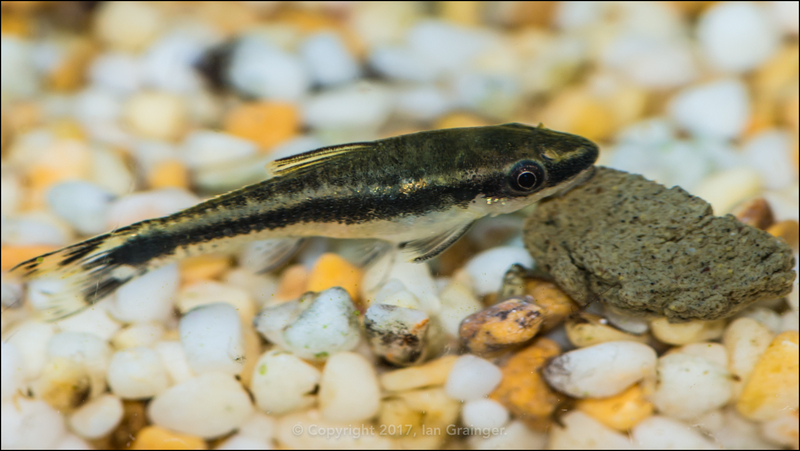 This week I've been concentrating on getting a decent photograph of one of my trio of Otocinclus catfish. They do a great job of cleaning up algae in the aquarium. Actually, they do such a good job that I've had to start supplementing their diet with algae wafers, and the occasional slice of cucumber - both of which they seem to love.